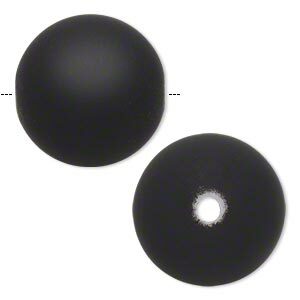 Mini Bead Huggers, silicone, black, 1.5x0.5mm rondelle with 0.5mm hole. Sold per pkg of 50. Item Number: H20-6861PB Have a question about this item? Mini Bead Huggers keep very small beads in place by gripping stringing materials. 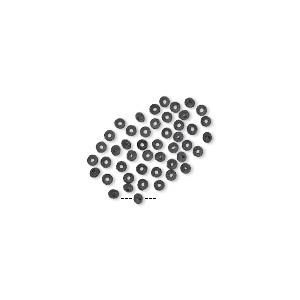 Created with soft polymeric material, they protect beads from rubbing against each other. Use bead huggers in place of knots to separate very small beads. With 0.5mm holes, Mini Bead Huggers fit up to 24-gauge wire or cord. 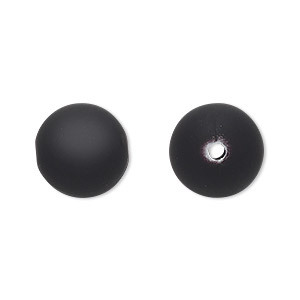 Mini Bead Huggers, silicone, black, 2x0.5mm rondelle with 0.5mm hole. Sold per pkg of 50. Mini Bead Huggers, silicone, clear, 1.5x0.5mm rondelle with 0.5mm hole. Sold per pkg of 50. Mini Bead Huggers, silicone, white, 1.5x0.5mm rondelle with 0.5mm hole. Sold per pkg of 50. Mini Bead Huggers, silicone, clear, 2x0.5mm rondelle with 0.5mm hole. Sold per pkg of 50. Mini Bead Huggers, silicone, white, 2x0.5mm rondelle with 0.5mm hole. Sold per pkg of 50. 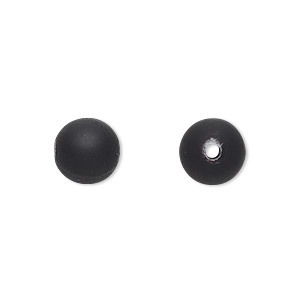 Bead, acrylic with rubberized coating, black, 18mm round. Sold per pkg of 30. 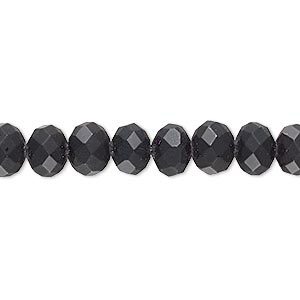 Bead, rubber-coated glass, matte black, 8x6mm faceted rondelle. Sold per 8-inch strand, approximately 30 beads. 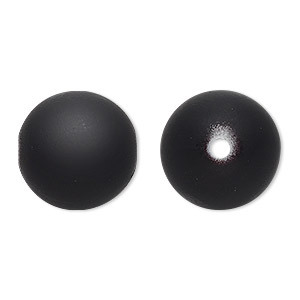 Bead, acrylic with rubberized coating, black, 26mm round. Sold per pkg of 10.